Most of us would like to have a savings in place, especially with job security low as the “Great Recession” drags into another year. But saying it and doing it are two different things. Actually taking the initiative to start a savings and then sticking to a plan to put money in from every paycheck is not as easy as one might expect. Or is it? With bills to pay and unexpected expenses popping up, you may have a hard time hanging onto that extra cash that you intended to save. But if you plan accordingly, you can pay the monthly bills, account for the unexpected, and still have some money left to sock away in the bank. But how do you get started? First you’re going to have to take a long, hard look at your finances. You probably don’t have any clue what you’re actually spending. Sure, you have a fair notion of what you make each month and how much you pay out in bills, but it’s the rest of the money that seems to go mysteriously AWOL each month that you need to get a handle on. To help figure out just how much you’re spending frivolously, you need to save all of your receipts for a month, then go back and see where you were buying. You’ll probably find you spent quite a bit on eating out and entertainment, neither of which you figured into your overall expenses. Now that you know what you’re spending, it’s time to plan a budget. Since most adults have never done this before, you may want to consult with a financial planner. Bring in an itemized list of household income and expenses (don’t forget to break out annual and biannual payments like insurance, as well) so that your agent has everything needed to form a complete financial picture. Then have him or her show you what goes into planning a budget and how to make one that works for you. You can also do this on your own with helpful hints from the internet (although an in-person tutorial from an expert couldn’t hurt). The real trick with any budget is to be realistic. If you’re used to a certain lifestyle, it’s going to be hard to give up for something as seemingly nebulous as “savings”. After all, what good is money if you don’t spend it? If this has been your attitude heretofore, you’re going to need some time to cut back. If you go cold turkey, you’ll likely renege on your plan and go back to your old ways. Instead, include a weekly allotment of funds for entertainment (including dining out) along with any money going into savings. While you will almost certainly have to cut back on fun outside the home, you may find other ways to compensate, such as a weekly potluck with friends (which allows for socializing without the major expense). And don’t ever feel like you’re not putting enough into savings. Every little bit counts. Even if you can only afford $50 out of every paycheck, it’s something that’s going in the bank to earn for you rather than purchasing another cup of coffee and a pastry at Starbucks (which will only earn you more pounds on the scale). 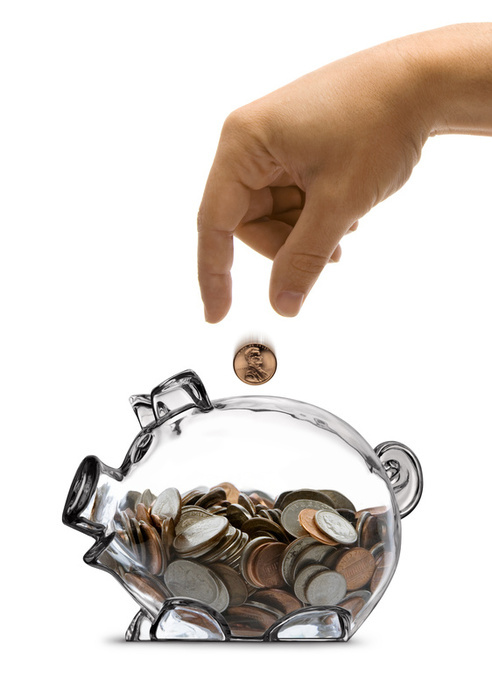 So if you want to start saving but don’t know how, formulate a budget and be realistic about your spending habits. Only through perseverance and careful planning can you save the money that you might need for a rainy day. Kyle Simpson writes for Roth IRA Guide where you can learn about converting IRA to Roth and find other tools and information to help you on the road to retirement.